How realistic is BBC film about Russia-NATO nuclear war? "World War Three: Inside the War Room." In a recent British pseudo-documentary film, a confrontation between NATO and Russia because of a pro-Russian uprising in Latvia leads to a nuclear war. 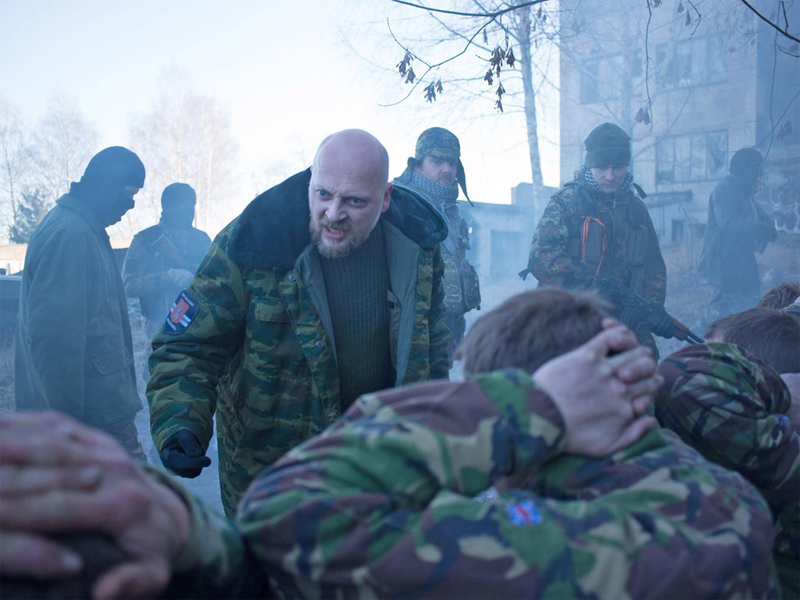 Russian experts interviewed by RBTH are skeptical about the premise of the film: In their opinion, such uprisings are impossible in the Baltic countries and Russia would never engage in a direct armed conflict with NATO. A recently broadcast BBC film titled “World War Three: Inside the War Room” hypothesizes a situation in which Russian-speaking separatists in the small East European country of Latvia, a NATO member, begin an uprising that quickly leads to an armed clash with the Latvian army. Meanwhile, in the command post in London members of the UK's Supreme Military Command try to determine how the UK and NATO should respond to Russia's support for the insurgents. The first shots of the film look like documentary footage from the eastern Ukrainian cities of Donetsk and Lugansk in the spring of 2014. People shouting "Russia! Russia!" occupy the administration of the Latvian city of Daugavpils, proclaim the government of the Latgalo-Russian Union and demand a referendum on the status of Latgalia, a region that has a significant Russian population. The parallel to eastern Ukraine is rather obvious and the film forces us to consider what would happen if the Donbass scenario were to be repeated in a NATO country, which the alliance, in accordance with its charter, must defend. However, Russian analysts are convinced that unlike Donbass, there is no one in Latgalia who would tear down the Latvian flag from the mayor's office and fight with the local police. "The people in Latvia and other Baltic countries had chosen to be part of Europe. Those countries don't have so many Russian supporters as in Crimea or the Donbass," explained military analyst Konstantin Sivkov, vice president of the Moscow-based Academy of Geopolitical Problems. President of the Geographical Union and political geography expert Vladimir Kolosov agrees. In his view, the ethnic Russians in Latvia, Lithuania and Estonia are loyal to their governments. "Neither Latvia nor the other Baltic countries have ever had influential pro-Russian parties and movements," said Kolosov. "All the Russians who wanted to go back to Russia did so in the 1990s, while those who remained are satisfied with their lives." Kolosov spoke about the phenomenon of the "Baltic Russians," people who, while preserving their Russian ethnic identity, are comfortable being citizens of other countries and have no desire to relocate to Russia. "The problem of non-citizens, that is, stateless Russians who live in the Baltics, is also being resolved gradually. In the last year they have been receiving citizenship, although slowly," he noted. According to the plot of the BBC film, both Russia and NATO are forced to up the ante in the dangerous game while the UK's military council tries to demonstrate its fidelity to NATO's principles of collective defense and prevent a nuclear war. But in the end, due to the mutual escalation, the worst does happen and the film's protagonists prepare for a nuclear strike on London. In Konstantin Sivkov’s opinion, in reality NATO countries understand the hopelessness of a conflict with Russia: "The NATO countries have substantial superiority in military resources, if we exclude the nuclear factor. In the event of a clash using conventional weapons Russia will definitely lose. But what's next? Just think: NATO forces destroy the Russian army and advance into the country. Obviously, the Kremlin will resort to nuclear weapons." But the opposite is also true: A Russian strike on NATO would only bring about a catastrophe for Moscow. "A hypothetical Russian nuclear strike would be answered with a nuclear strike," said Sivkov. He believes that the film's implausibility lies in Russia being presented as a reckless force: "Russia has no chance in a war against NATO. The Kremlin understands this perfectly well, which is why it will not aggravate the conflict." Leonid Ivashov, president of the Academy of Geopolitical Problems, supports Sivkov's stance: "The possibility of a mutual nuclear strike is the film's most unrealistic part. Neither Moscow nor Brussels would want to escalate the situation to such an extent." Moreover, Ivashov pointed out that currently, if we were to consider a potential conflict, the most dangerous region is "the Middle East, where the civil war in Syria is still raging and Russia is experiencing tensions with Turkey," but not the Baltics.